The black powder coated IRC430 Series Super Long Range IR Illuminator from Iluminar is designed to provide IR lighting for true day/night CCTV systems. It employs thirty 850nm IR LEDs that provide illumination up to 430' (130m). 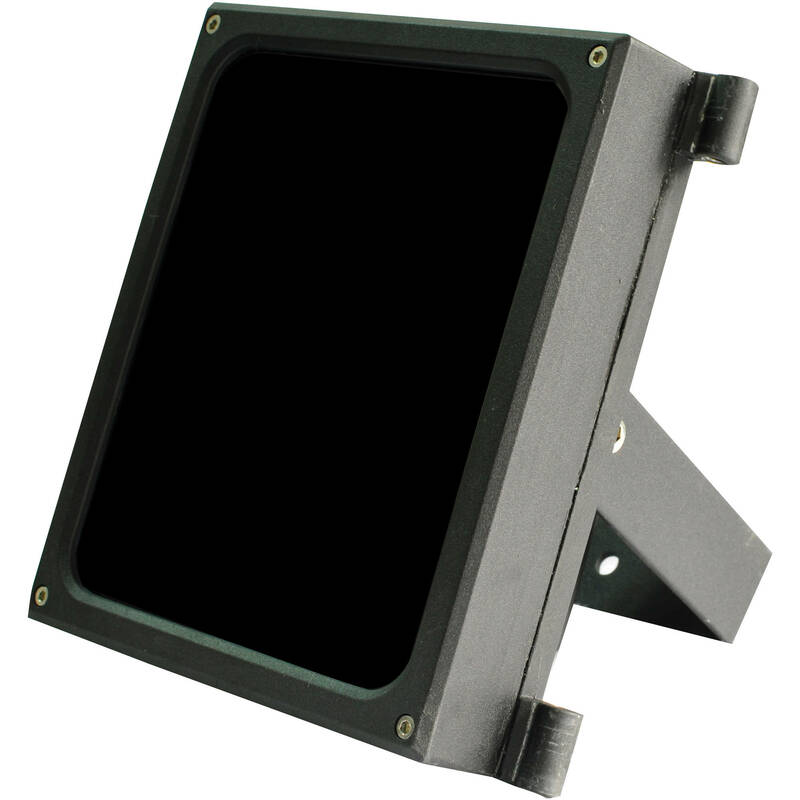 This IP66-rated illuminator is vandal-resistant and can be installed outdoors. Its die-cast aluminum housing and tempered glass panel provide protection from harsh weather conditions and rapid temperature variations ranging from -40 to 122°F (-40 to 50°C). The illuminator features dual power input (12 VDC or 24 VAC) and automatic IR on/off via built-in photocell.